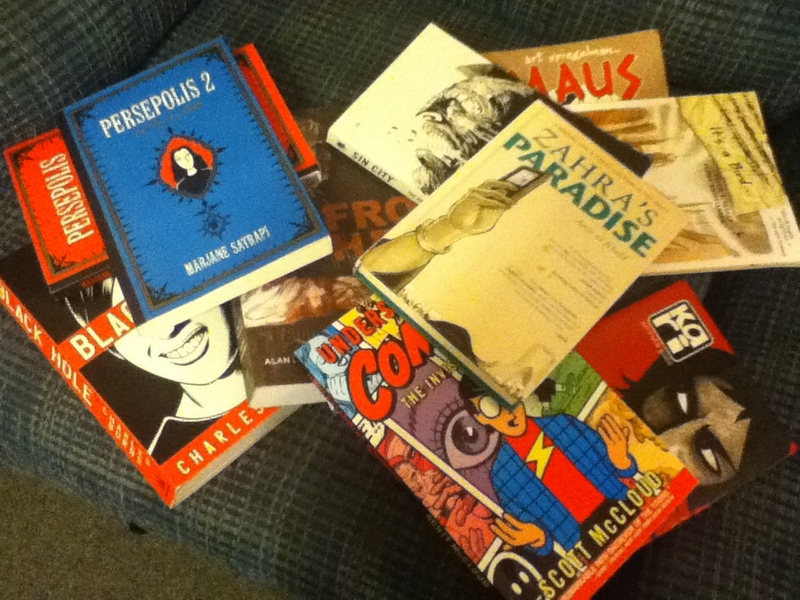 For the last eight months, I’ve been reading nothing but graphic novels and comics. I figured that if I was going to write one myself, I’d do well to immerse myself in that world as much as possible. During that time, I’ve read some iffy ones, some good ones and some that made me want to curl up into a little ball and give up any and all dreams of ever writing again (see pic). 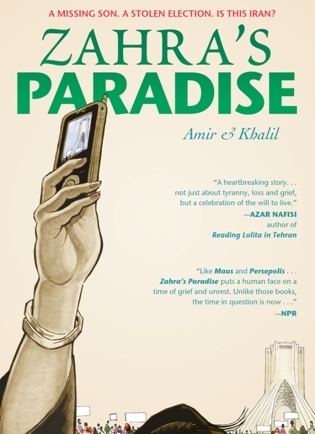 Zahra’s Paradise started off as a free webcomic but the power of social media turned that little webcomic, about life in Iran after the 2009 elections, into a literary phenomenon. It has since been published by First Second Books. Below is an excerpt of my review for Hyphen Magazine or click here for the full article.